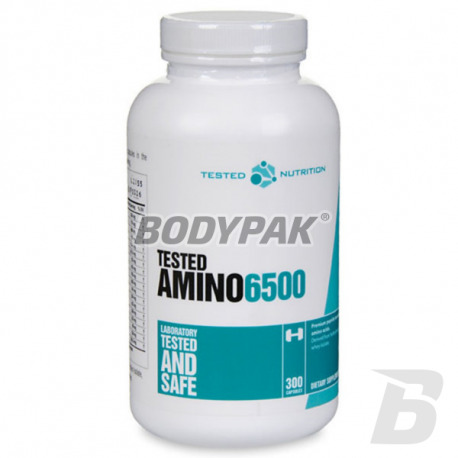 Amino AcidsTested Nutrition Amino 6500 - 300 kaps. Complete the most important amino acids and improve the growth and regeneration of muscle tissue. Excellent preparation of amino acids of the highest quality! High biological value! The present supplement contains the full complex of all amino acids, both exogenous and endogenous. Contained in the described supplement nutrients are the basic building blocks for muscle tissue. 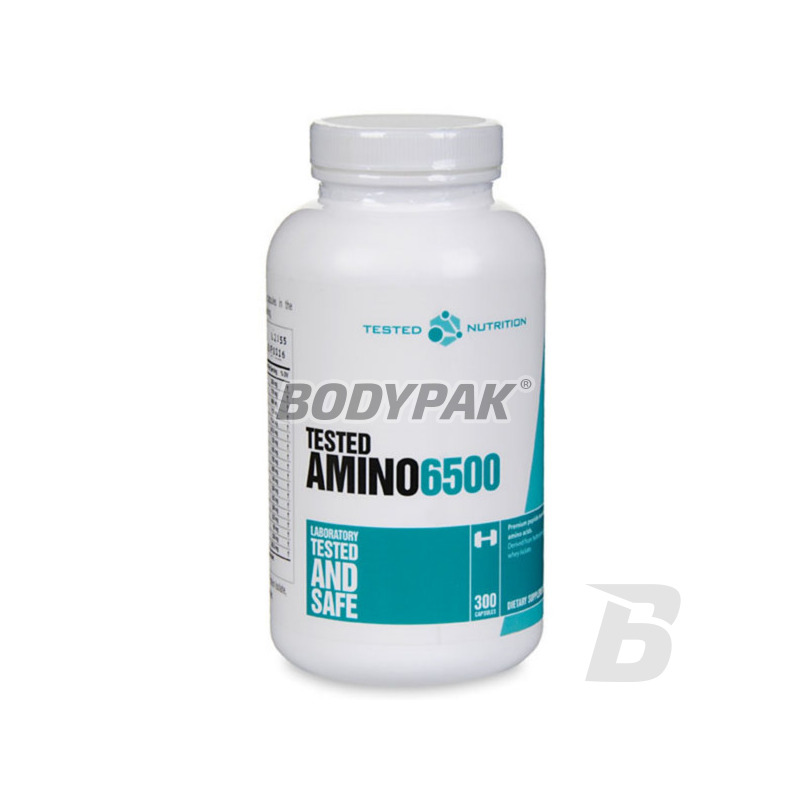 Additionally Tested Amino 6500 protects against decay of muscle tissue and allows you to get a positive nitrogen balance. accept 2 times daily between meals. Składniki: hydrolizowany izolat białek serwatki, stearynian magnezu, żelatyna, woda.